Whenever you don't have sufficient room for each of your teeth to develop correctly, an extraction might be needed. Your smile might be crowded if they're too big, you lost your baby teeth too late, or when one tooth or several teeth come in wrong. Crowding may lead to tooth decay, gum disease, discomfort, as well as trouble chewing or talking. A simple extraction will make space for your other teeth, so they can develop correctly. A dental injury may be caused by playing sports, a car crash, or an everyday mishap. Even though a dentist might attempt to fix your tooth using a crown or a different process, there are times when the tooth will have to be extracted. When a tooth has been removed following an injury, you can replace it using an implanted crown or dental bridge. At Highland Dental Care and Ortho., we provide custom restorations that work just like your normal teeth. Tooth decay is among the top causes for an extraction. In the first stages, decay turns into a cavity, which may be fixed with a filling. If it's not filled, a cavity will expand to the whole tooth till it requires a root canal or a simple extraction to stop the infection from affecting nearby teeth along with your gums. Some people don't fix a cavity due to anxieties and fears. 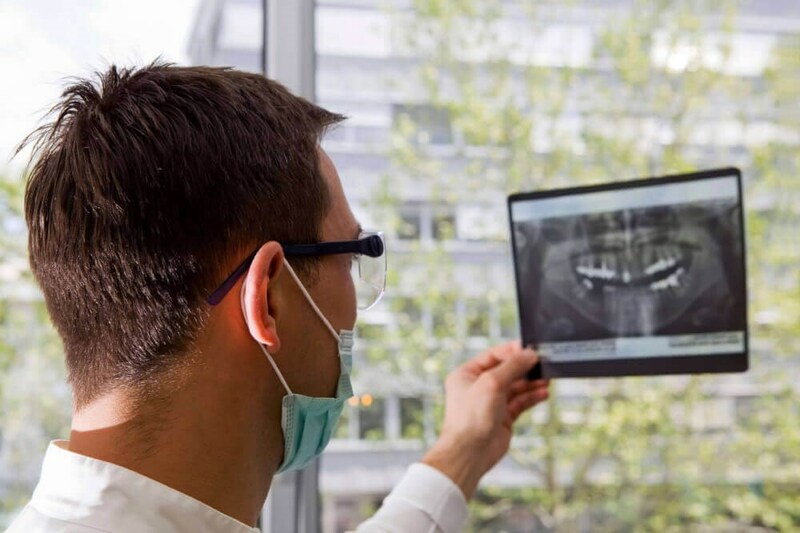 At Highland Dental Care and Ortho., we utilize innovative methods and state-of-the-art equipment together with sedation methods to help patients remain comfortable and relaxed through regular visits as well as throughout treatments, such as simple extractions. From the ages of 6 – 12 years old, primary teeth ought to come out to make space for the new adult teeth. In some kids, the primary teeth might require some assistance falling out. In your child's yearly dental examination, your dentist will have a look at their x-rays and ascertain if an extraction is required to get rid of any primary teeth. If the primary teeth haven't come out before the adult teeth are prepared to erupt out of the gums, the permanent teeth will come in crooked. An extraction may help avoid extensive orthodontic treatment in the future. A surgical extraction technique is done if a tooth that hasn't erupted over the gums has to be removed. Once a sedation technique is administered (usually nitrous oxide plus oral-conscious medication), the dentist will place an incision through the gums so they can get to and take out the tooth. A surgical extraction is most frequently required to take out impacted teeth or the wisdom teeth. The third molars (commonly known as the wisdom teeth) are the last of the adult teeth to come in. The majority of people don't have space in their mouth to fit these final molars, therefore they have to be removed before they become impacted. Normally, the extraction of the third molars is done during the teenage years or twenties when the teeth are completely developed. Should you wait to get your third molars extracted, you might have pain and need to get a more invasive surgery to get them taken out. Occasionally a tooth will end up impacted (stuck) and is not able to erupt above the gumline. That is why it's crucial to take your family to the dentist to get yearly oral health examinations. Your dentist will have the ability to spot impacted teeth on x-rays and recommend an extraction to avoid discomfort or a bigger problem. When you think that you might need a tooth extracted or if you want more information, reach out to our practice in Pearland, TX to schedule a consultation. Our staff at Highland Dental Care and Ortho. is experienced in both surgical and simple extractions for people of all ages. We provide various degrees of sedation to keep you calm during the procedure. If you want to replace a permanent tooth following your extraction, we provide restorations, such as implanted crowns and dental bridges. Highland Dental Care and Ortho. uses strong materials and colors the restoration to blend with your teeth so that your smile is amazing.